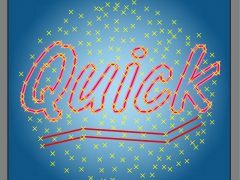 The QuickSurfaces plugin for AutoCAD® Civil 3D® extract multiple “child” surfaces from an existing surface by selecting polylines that defines their outer boundary. Sections Xplorer is a SAP2000® plug-in that provides multiple tools to quickly and easily browse and modify the properties of area sections. The XPORT ELEMENTS for REVIT plugin allows users to copy structural elements from REVIT® and paste them as modeling objects in ETABS®. The QuickAverage plugin for AutoCAD® Civil 3D® calculates the average of spot surface elevations labels. 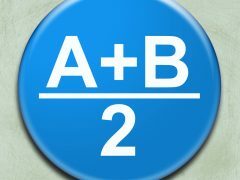 It also allows the user to add or subtract a constant value to the calculated average. The AVD Measurements plugin allows users to calculate areas, volumes, angles and distances in ETABS®. MatchProfiles is a plugin for AutoCAD® Civil 3D® that allows users to quickly match the configuration of different profile views. 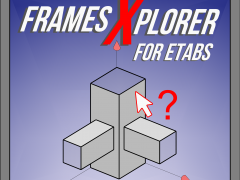 Frames Xplorer is an ETABS® plug-in that provides multiple tools to quickly and easily browse and modify the properties of rectangular frame sections. The QuickConnections plugin for AutoCAD® Civil 3D® automatically connects COGO points based on their descriptions and point numbers. Move Joints is a powerful plugin that simplifies the edition of 3D models in ETABS®.